geeman68 wrote: Someone has a nice view!! Is it worth the rent? I think it is. I got in october of 2014 so rent was still really cheap. I'm paying 2k for our 2 bedroom. Considering I was paying 1k for a 1br downtown already, with a roommate it is about the same. Plus both me and my partner were paying for oneLife memberships...thats an extra $100/mo that we don't have to worry about. The apartment itself is nice but smaller and not laid out that well. Its very nice, we're just running into storage issues for our stuff. My only complaint with the units are the kitchen cabinets. They are pretty low quality for the rent we pay. hgascoigne wrote: My only complaint with the units are the kitchen cabinets. They are pretty low quality for the rent we pay. I agree, although I can't complain as it is more storage than my last place. at least there is some form of pantry. I'm jealous of your pantry. We've spent some time trying to figure out how to retrofit one into our condo's kitchen. I noticed activity in the One Light retail space on Walnut today. I eagerly checked KIVA hoping for something cool. It appears we are getting a day spa instead. a resident told me a wine bar is also going in. wasn't sure if it would be open to the public or not. DaveKCMO wrote: a resident told me a wine bar is also going in. wasn't sure if it would be open to the public or not. Benjamin said that 75 percent of One Light's units are occupied and that 91 percent have been leased, meaning only 28 remain available. FangKC wrote: Eric Bowers photo. 94% leased, per cordish. wow. DaveKCMO wrote: 94% leased, per cordish. wow. What's the percentage of dedicated parking spots to units? not sure. 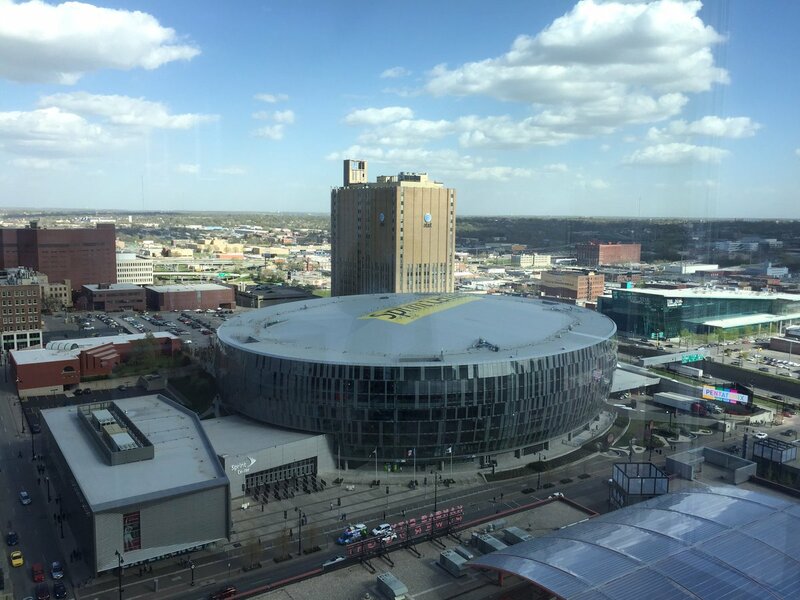 shared public garage with all of the retail on that block, plus sprint center VIPs (?). earthling wrote: What's the percentage of dedicated parking spots to units? Every unit gets a least one reserved spot, I believe. Or at least that's what they made it seem when applying. they have to pay for it. $100/month. Good news, about how much per sqft?